Notes Contacts to Outlook Conversion 8.12.01 - Download Win Apps. Convert Lotus Notes Contacts to Outlook / Excel. 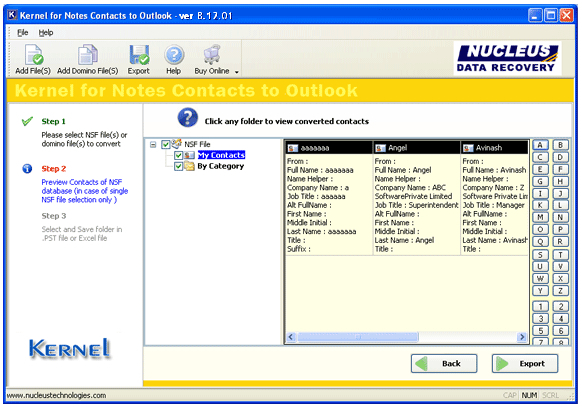 Convert Notes contacts to Outlook or MS Excel with Notes contacts to Outlook tool. It provide you with an easy and simple way to migrate Notes contacts to outlook. Each and every item of lotus notes contact is migrated from names.nsf file whether an individual file or a direct from Lotus Domino server.